With the right mentality and the right team, anyone can reach the finish line–all it takes is audacity to say “I’ll give it a go”. Once you commit to Tough Mudder, you’ll have no choice but to get in the best shape you’ve ever been in. Trust us. Thought Block Ness Monster was an awesome obstacles? Wait ‘til you see what’s in store for you in 2017. If not now, then when? In 2016, a great-grandmother finished a Tough Mudder. What’s your excuse? When others see the positive transformation you went through to become a Tough Mudder, they’ll want to follow suit. A headband and a cold beer cannot compare to the confidence, respect and sense of accomplishment that awaits you at the finish. Nothing brings people closer than sludging through 18+ kilometres of thick mud, ice and electricity together as one. You’re going to be scared. You’re going to feel a little pain. Hell, you might even cry. But guess what? Nothin’ worth having is easy to get. On course, you’re going to see some inspiring things that will make you proud to be apart of something greater than yourself. Every weekend, tens of thousands of people join the ranks of Mudder Nation-the ever-supportive Tough Mudder community. Ready to take on the Tough Mudder challenge? We thought so. 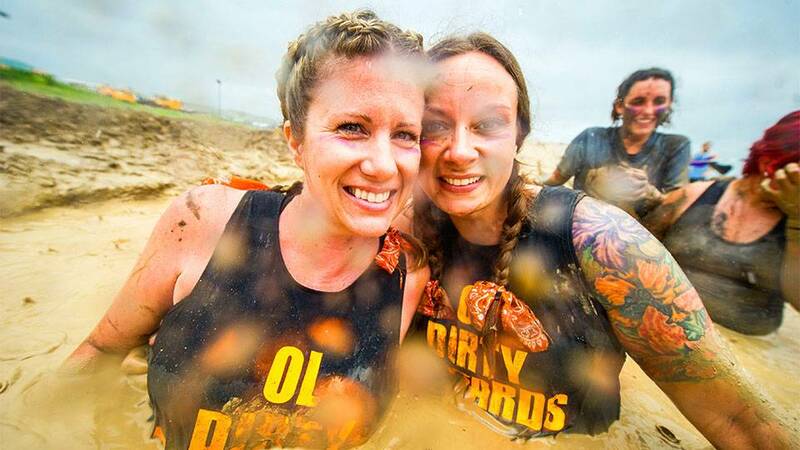 Now start browsing Tough Mudder events near you.